� Euro Slider is only available to/from Brisbane, Sydney and Cairns. Compact 2 berth camper for a real outback adventure. 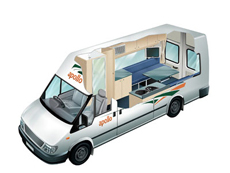 Far roomier than similar vehicles, this 4WD campervan is ideal for thrill seeking couples. The extra fuel capacity means you can travel for longer without having to stop and the indoor and outdoor cooking facilities. Outback Camper for off-road family adventures. 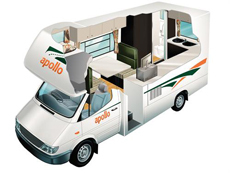 Features such as indoor cooking facilities, external shower and a large retractable awning. Safety of your children is paramount this vehicle offers greater security as it is one of the 4WD vehicles you can sleep in the secure cabin. Find your own trail with this pop-top 4WD Camper. 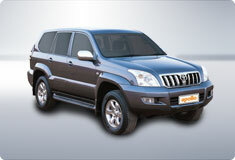 Ideal for adventurous couples with superior handling in rough terrain. A large slide-out kitchen and pop top roof. 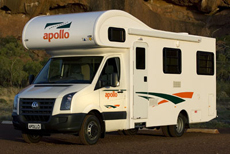 Choose a Darwin to Brooome 14 day 4wd camper hire and self drive Australia's natural scenics 4wd drives. 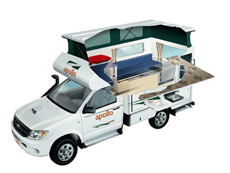 Economical family touring is the purpose of the custom built Endeavour Camper. 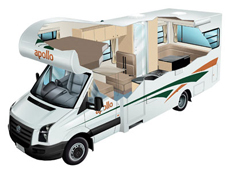 Light, economical and easy to handle, this is the ultimate in no-fuss family road trips.This vehicle is great for families that need a 4 berth but are willing to forgo the onboard shower and toilet that are available in larger 4 berth motorhomes. 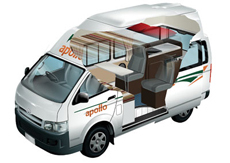 This compact and cost effective vehicle offers a comfortable and functional interior. 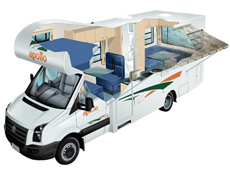 The Hitop comes with a stylish kitchenette, spacious dining and sitting area with plenty of storage. 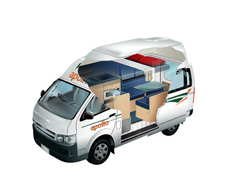 The Hitop Camper is ideal for couples or a couple with a child (8-13 years). Sydney, Brisbane, Cairns a 4 berth motorhome features a unique automated bed lift system. Peess a button and fully assembled bed descends from the ceiling. 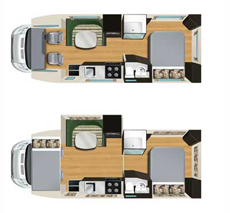 Euro Star's includes a kitchen, an electric flush toilet, quality upholstery and a flat screen TV and DVD player. Sydney, Brisbane, Cairns a 4 berth motorhome.Designed using state-of-the-art 3D modelling, the unique slide-out panel in this vehicle creates more space than ever before. 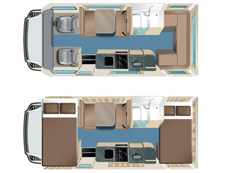 The Euro Slider also features cruise control, private bedroom and a separate shower and toilet.